Having a treadmill for seniors will help them to stay active without going outside. it ‘ll also help them to maintain a good physical and mental health. But you need to be very careful about the design and safety feature while choosing a treadmill for a senior citizen. You’ll find various types of treadmill available in the market with different features. Some of them are good quality and some of them are not up to the mark. So it is pretty much tough to get the right treadmill for seniors. 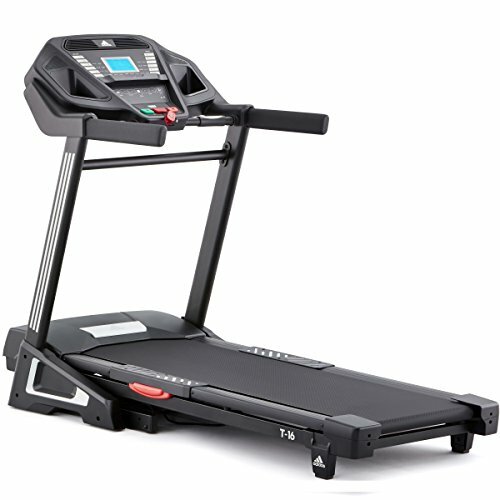 I’ve researched and listed recent top products of the market with the most important features of a good quality treadmill. You can simply go through the article and pick the one is suitable for you or your grandparents. User Weigh: 325 lbs Maximum. The best feature of this treadmill lies in its portability and storage. Inhabitants of condo and studio apartments always look for these features before bringing anything bulky and pricey to their home. When it comes to treadmills, they will look for quality and power as well. This machine from 3G CARDIO has all those features to meet those expectations. 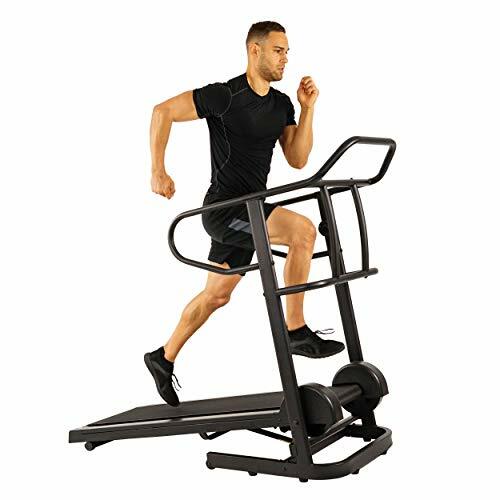 Its highly powerful motor and insane incline makes it perfect for intense workout and marathons. Besides, its user weight capacity is also impressive, higher than most of the machines we have reviewed in this list. This machine is not specially meant for senior citizens, but we put this on our top ten list because f its unbeatable convenience of storage. Just fold it flat and roll under your bed. Seniors who are good runners will not mind spending a few extra bucks to enjoy that feature along with its sturdiness. Why would a senior citizen invest in this treadmill from Nautilus? Because, it has manual settings with all other advanced features. So that, this one machine can serve for every member of the family, including the older ones; who is unable to cope up with motorized functions. Besides, its long handles are great for support, not just to measure your pulse in mid run. With its automatic incline, less pressure will be put on joints but more calories will be burnt without soaking in sweat. I find it a comfortable solution of daily workout for a senior citizen. However, mild walking on flat walkway is more preferable if the user have severe knee or ankle pain. For a solid machine to ensure everyone’s health, it is a good choice. It comes with 25 impressive programs that are designed to set and track your goals. It is a bit heavy, you cannot move it around often, just fold it after use to save space. Besides, the speakers seemed useless to me, you may need to use headphones to cheer you up. User Weigh: 350 lbs Maximum. This item is launched specifically for workaholics. Don’t have time for workout in your super busy schedule? LIFESPAN has the solution. 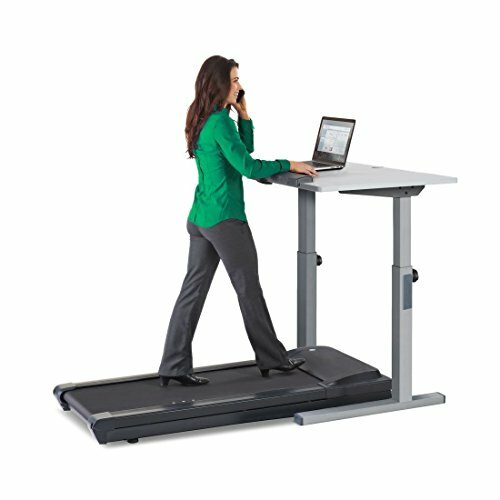 This treadmill comes with an expandable desk to accommodate all your office supplies; so that, you don’t need to spear a minute for your workouts. The spacious walking belt and moderate speed is suitable for walk when you work. Surfing the net, typing a mail or having a conference call-all is possible when you are jogging on this machine. It is absolutely quiet and easy to operate. I recommend this treadmill to seniors because, it gains speed slowly. Besides, it needs confirmation to make any changes as a safety measure. This machine is perfect to keep you in shape but not meant to prep you up for a marathon. Another thing is, doesn’t have any display. You get all your progresses from your handset after pairing with the Bluetooth of the treadmill. It would be more convenient if the desk was detachable. User Weigh: 220 lbs Maximum. For seniors, the most important feature of a treadmill is an emergency stop. It is compulsory for motorized machines specially. It keeps them safe from any injury id they accidently fall off. Elders always opt or calm environment, a noise free treadmill like UMAY can be the best choice for them. Its walking belt is multilayered to make is noise and vibration free. Your treadmill will turn to your comfort zone due to the included cooling fan, that adjusts automatically to the intensity of your workout. The only drawback I found is, this product is not widely used like other items of this list. The motor is comparatively less powerful considering the price. Maybe it is made durable without unnecessary power, which it is absolutely okay if this machine is used by an elder person for moderate workout. Its user weight capacity alerts not to consider purchasing it if you are near 100 kg. User Weigh: 200 lbs Maximum. This machine is lacking fancy features like incline and tracking goals, but this is easy enough to operate by an elder person. If you are looking a treadmill which would be easy to install and operate, then this one from ACESHIN is the one for you. This machine is suitable for walking and jogging only. Its narrow walking belt is not meant for running and is not spacious enough for tall persons. The user capacity also confines this machine’s suitability for people up to 100 kg. However, its simplicity and emergency stop are the features that make this treadmill convenient and safe for senior citizens. I found this machine reasonably priced and good enough for daily light walking. It would be even better if it had a slight incline functionality to have more impact from daily walking. To get the benefit of professionally trained workout, this treadmill from ProFrom comes with IFit compatibility. So that, you can be trained by world class trainers without leaving the comfort of your home. This machine comes with a generous walking belt, powerful motor and automatic incline functionality. You can choose your own workout from the 18 preset workouts or subscribe to iFit to get the most of it. I recommend this treadmill for aged individuals due of its proshox cushioning belt. It is proven to be gentle on your joints and muscles and gives you the benefit of natural running even after running miles on machine. 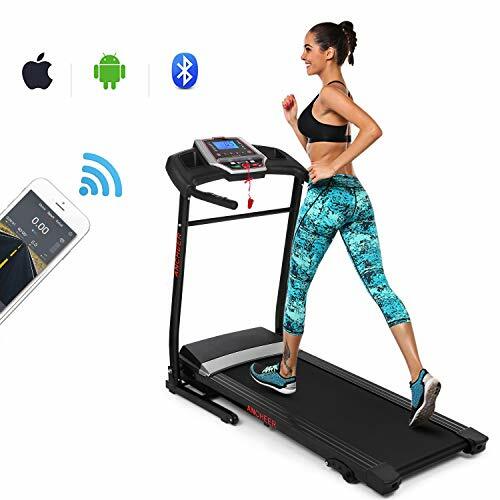 Besides, there are only a few treadmills available in market in affordable range which are compatible to iFit, an application that lets to be guided by professionals every day. User Weigh: 400 lbs Maximum. Requirements for a treadmill varies mostly by a person’s size. People with bigger bodies often face problems to pick the perfect one for them, which will be able to carry their weight and provide the necessary space simultaneously. 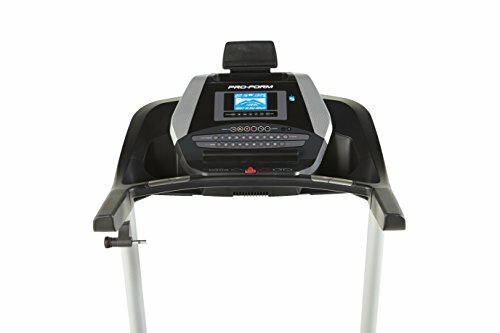 This treadmill from SOLE is made for those individuals specially. 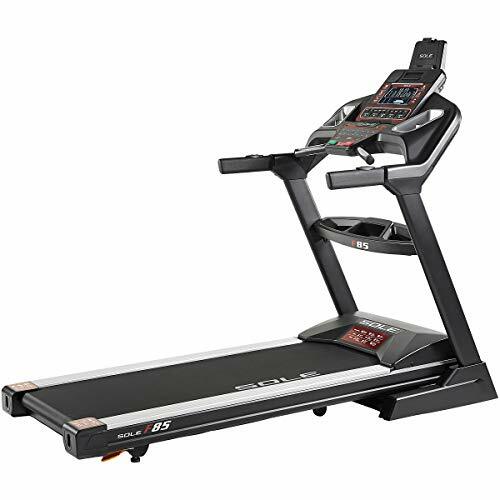 To hold 400 lbs weight, this treadmill is equipped with the most powerful motor and the largest walking belt to provide room for running by a long legged one. Like it’s built in programs, the incline is also automated. Changes for speed and incline is done slowly for added comfort and safety for elder ones. This machine has mechanism to set your target depending on your age and heart rate. With this measurement, it suggests preferred workouts to keep your heart healthy. This feature can be useful for heart disease patients and extremely obese persons. This machine is very heavy, hence, difficult to move; but folding and unfolding is easy. It is the most expensive treadmills among all the treadmills we have reviewed in this list. Surprisingly, it is not iFit compatible, a feature that became compulsory for expensive treadmills. Comes with heart rate control. User Weigh: 286 lbs Maximum. In old ages people suffers from different problems. You can find solutions for yours from the 24 preset programs of ADIDAS treadmill. These are designed by considering different targets, like covering a certain distance, burn an exact amount of calories, some are for quick start, HRC even for beginners. You will love the cushioning of this treadmill. It is easy on your joints by ensuring soft landing on every steps. The high mileage, incline and spacious running deck is perfect for high intensity running as well. Some users have complained about the misleading measurement of heart rate of this machine. This can be a caused by a faulty sensor, that can be replaced. Most of the buyers have stated about the less effectiveness of the included fan and used other source for cooling. For the reasonable price, if you can ignore the fan then this is a sturdy machine to maintain your health for years to come. Comes with 24 preset programs. This treadmill comes with auto emergency stop key with no incline. So, it is a safer choice for senior citizens for their daily dose of calorie burning. 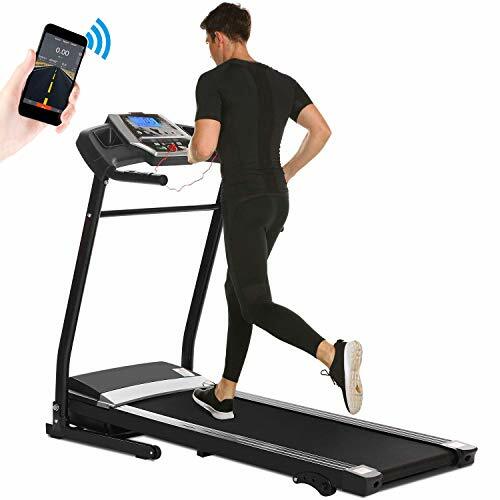 The functions of this machine are as good as high priced treadmills, but its small belt dimension and limited weight capacity cuts off the price. Operating is made easy by placing most of the buttons on the hand rails. Power on/off, speed and pulse sensor are placed on the rails, ideal to make quick changes without reaching the consol. A set of 12 preset programs are installed in this machine, that will help you to achieve your fitness goal effectively on time. The powerful motor is impressively quiet, perfect to use at home without creating disturbance to other members. For the affordable price range, this machine has won a thousand hearts. Small walking belt, not for tall individuals. User Weigh: 300 lbs Maximum. Maintaining a healthy lifestyle does not need to be expensive. Besides, everyone is not fan of fancy features. So we put this manual treadmill in our list, which is known to be one of the best of its kind. It is totally zero electricity equipment. Hence, it does not only cost less, it will never raise your electricity bills. As this machine is self powered, it is perfect to use for people who are living off grid. High user capacity weight and large dimension of walking belt with fixed incline are the mentionable features. To increase the intensity of your workout, a magnetic resistance knob with 16 levels is included. The handrails are anti-slip; a good grip is ensured even when you are drenching in sweat. The only drawback of this treadmill is, there is no way to set your goal and track your daily performance automatically. But this machine is built to increase your stamina with every workout. For a low cost treadmill and eco friendly option, this one is the best choice. Comes with a magnetic resistance knob. No way to set and track performance. You may wonder why a senior needs a treadmill for exercising as they can get hurt while using this! But believe me, it is not so risky for them rather they can be benefited by exercising with a treadmill. The most obvious benefit of using a treadmill is having improved cardiovascular health. When the senior jog, walk or run that makes their heart pumping and strengthen the essential muscle. Exercise provoke the release of serotonin and endorphins which are known as the body’s feel good chemicals. During exercise, serotonin- the natural mood booster, released and helps to fight with depression. Exercise helps everyone to maintain a healthy lifestyle. A senior who exercises regularly and leads an active life is energetic and able to maintain his/ her muscle tone and flexibility. They also have the benefit of having a strong immune system. Moreover, regular exercise will help seniors to maintain a healthy weight which will keep disease away from them. Insomnia is the most common problem among seniors. But if they walk for an hour a day it will make a big difference to the amount & quality of sleep. Because tiredness helps anyone to have a sound sleep. Another common health problem among seniors is the joint problem. Light exercise like walking helps to promote the nutrient flow to your cartilage. It receives oxygen and other nutrients through joint fluid. If you’re buying a treadmill for the senior member of your family, you need to be concerned about some important things. Because it is directly related to their health. If you didn’t get the right one, it may result in the opposite. While buying a treadmill, check the size of the motor. Because it determines the amount of power you’ll get from the treadmill. If you’re for a treadmill simply for walking and some light jogging, 1.1 horsepower will be good enough for you. But if you’re planning for a more intense workout, choose one with 1.75 to 2.0 horsepower. If you don’t any joint issues, you can go for a treadmill with 2.5 horsepower and for the people who weigh more than 225 lbs, need minimum 3.0 horsepower treadmill. Then check the track size of the treadmill. Actually, the size of the treadmill should be determined by your height. If you’re tall enough, you need a treadmill with a width between 16 to 22 inches. If you’re not so tall, go for the one with a width of 18 inches. If you don’t sure about the size, you can simply go for 20 inches width, many people found it ideal for running. Generally a treadmill can serve you with a maximum speed of 12 miles per hour. But if you are looking for a treadmill for the senior member of your family, pick the one with a speed of 8 miles per hour. The treadmill you’re buying must have a high level of cushioning on the track. This type of cushioning will helps to absorb the foot strike and you’ll have protection for your hips, spine, joints and knees. 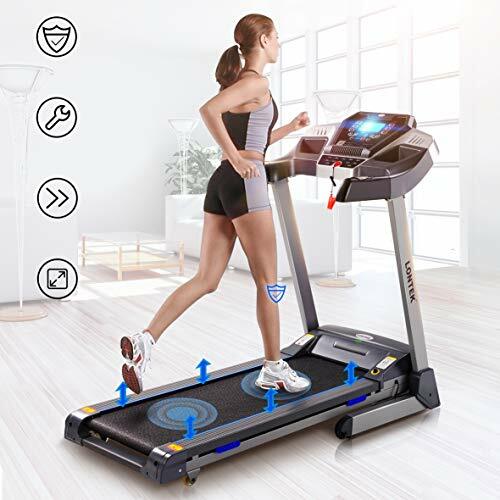 You can try the treadmill to check for the quality of cushioning and if you are buying online, check the reviews of customers regarding this. If you’re buying a treadmill for a senior, check the console has a clear backlit and displays the reading in large number. You should choose the treadmill which has built-in programs designed by fitness professionals. It will be more convenient if the machine has the option to customize your own workout program. Another important thing you need to before buying a treadmill for senior is its weight capacity. 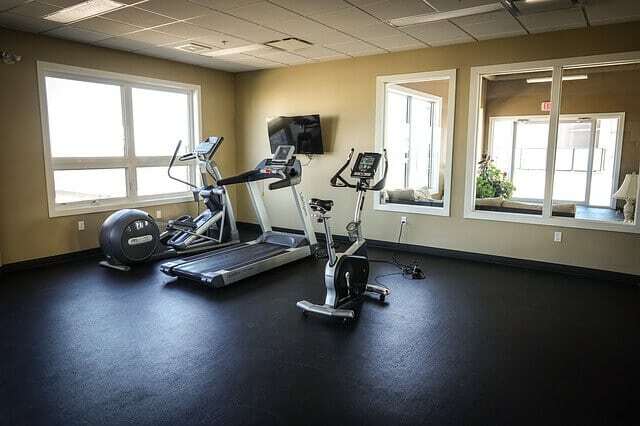 Usually, the maximum weight capacity of most of the treadmill is in between 200- 400 pounds. For senior, the treadmill must have the capacity of 50 pounds heavier than the user's weight. 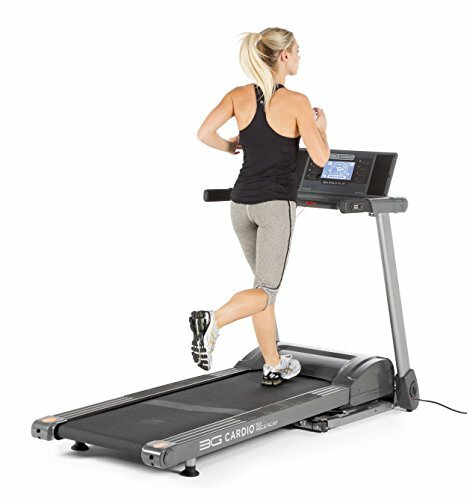 It is the most important feature you should consider while buying a treadmill for home use. 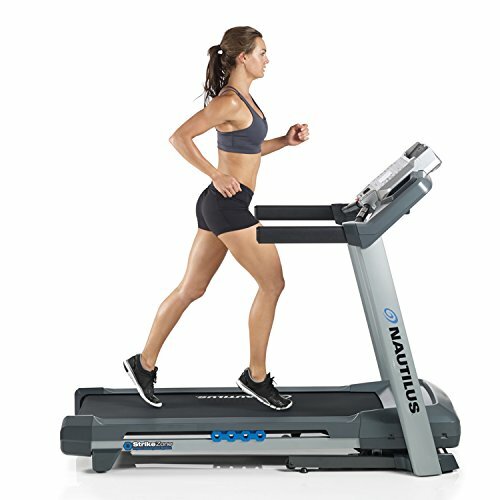 The treadmill should be compact enough that you can fold it easily to store after use. It must be lightweight and have wheels to carry from places whenever needed or you can simply pull it wheels when you are done with your exercise. Most treadmills come with handrails and some are longer than others. For seniors, the length of hand rail is one of the most important features to look for. Because it is directly related to their safety. So choose the one with the long handrail as they are safer than the short rail. The long handrail will also provide stability for those who have balance issues. Safety is the first important feature you should look for while purchasing a treadmill. You should look for the emergency stop key, emergency stop button and the hand controls on the rail of the machine. Make sure that the model you're going to buy has the safety features you need. Hope you’ve got the idea about how to choose the best treadmill for seniors. The features I’ve mentioned are the most important features which should not be overlooked. You can also choose one from the list I’ve provided. All of them can help you to achieve the goal of fitness of your health. Just check the features of the treadmills and get one which meets your needs. If you’ve anything more to know about them or any other exercise equipment, feel free to leave a comment below or you can also write to me. I’ll try to cover them in my next article.